You guys—it’s finally spring! Sure, we were a bit doubtful about its arrival (it snowed on the first day of spring; go figure), but the weather’s been beautiful ever since. It’s official: The sweaters are going away and the spring skincare stash is coming out. Enzyme Cleansing Gel. Your favorite cleanser made the cut! The moment it gets warm out and our skin starts to feel a little more slick than usual, out comes the Enzyme Cleansing Gel. It’s fresh in every which way—which makes it the perfect pick-me-up to get you into the spring mood. Cucumber Cleansing Lotion. Ditto with this toner on the fresh factor. (If you’re curious as to why it’s named a “cleansing lotion,” head on over here.) Great for combination and oily skin types, this cooling formula helps remove excess shine and grime without overdrying skin. Facial Spray. It’s a perennial favorite, but come spring, it’s a necessity. The goal is to look fresh-faced and dewy always—and what easier way to achieve that than with a quick, refreshing mist? Spritz it on before and/or after you apply moisturizer for a hydrating boost. Oil Free Moisturizer SPF 17. When you start to shed off the heavy layers, it’s time to swap out your winter cream for a lightweight moisturizer. This one is a best-selling favorite because of its easily-absorbed, oil-free formula; plus, it provides essential broad spectrum protection to help shield your skin from damaging UVA/UVB rays. Flower & Tonic Mask. Floral for spring? Groundbreaking. But we’re willing to put up with the Miranda Priestly’s of the world for this mask. Formulated with Gardenia Extract (which contains Ferulic Acid, a powerful natural antioxidant) and natural minerals, our Flower & Tonic Mask helps decongest skin to re-balance your complexion. Enzyme Revitalizing Mask. If you have drier skin in need of a moisturizing boost, this is the mask for you. Our Enzyme Revitalizing Mask does exactly what its name purports to do: revitalize. Natural fruit enzymes from Papaya Extract help break down dulling buildup as a blend of Vitamin A and E Oils provide additional moisture, leaving your skin glowing and radiant. Citrus Body Cleanser. 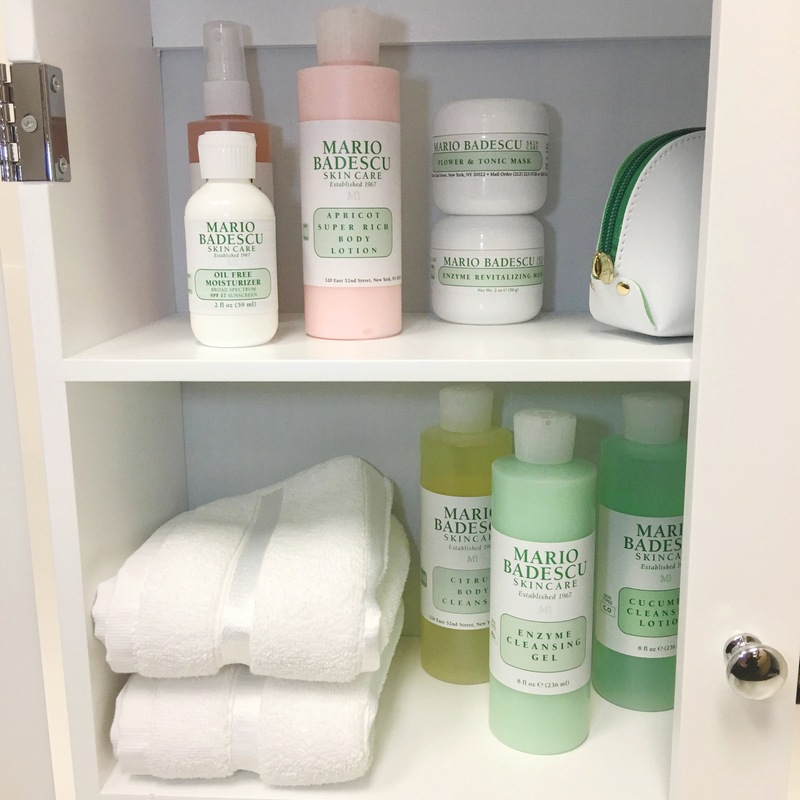 Don’t forget to spring clean your bodycare regimen, too. We’re obsessed with how sweet and fresh this shower gel is; it’s the ideal soap for morning showers or post-gym sessions. Apricot Super Rich Body Lotion. When the pros stash something in their makeup kit, you’d be smart to do the same. We started keeping this one shower-side after seeing one of our favorite MUAs use it on set: it’s creamy, it’s lightly fragranced, and it keeps you glowing head to toe.